This species of Elk called a "Merriam" Elk, named after the scientist, C. Hart Merriam, who identified this spicies by that name, They became extinct in the early 20th century. I was told by an old cowboy that these Elk were originally, in Arizona and Colorado, New Mexico. This is a very rare find. Only two are known to exist. One, a skeleton of the head with the Antlers at the University of Arzonia at Tucson and the other is in the Smithsonian, a full Mount. And now this one. A great Museum Piece or One of a kind Trophy. 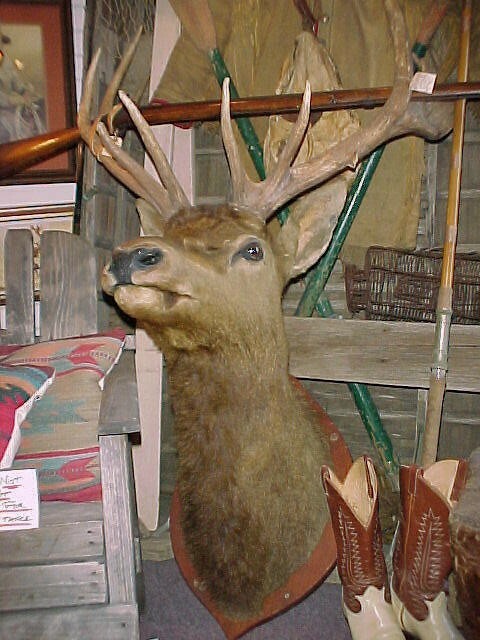 He has a kind looking face, this Elk Mount with a very nice rack. Mount: Measures 60" Top to bottom and Rack is 32" Wide. Exremely, RARE. This species of Elk called a "Merriam" Elk, named after the scientist, C. Hart Merriam, who identified this spicies by that name, They became extinct in the early 20th century. I was told by an old cowboy that these Elk were originally, in Arizona and Colorado, New Mexico. This is a very rare find. Only two are known to exist. One, a skeleton of the head with the Antlers at the University of Arzonia at Tucson and the other is in the Smithsonian, a full Mount. And now this one. A great Museum Piece or One of a kind Trophy. 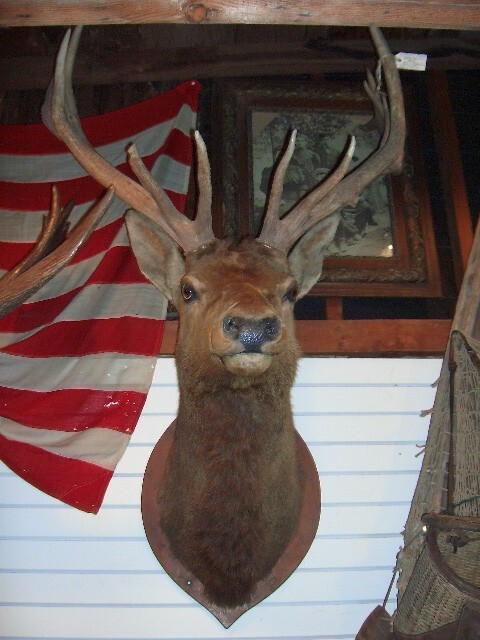 He has a kind looking face, this Elk Mount with a very nice rack. Mount: Measures 60" Top to bottom and Rack is 32" Wide. Exremely, RARE. Please email cowboycabin@centurytel.net with questions or call 406 270-2842.